A team of therapists have raised thousands in support of their colleague who has been diagnosed with terminal cancer. 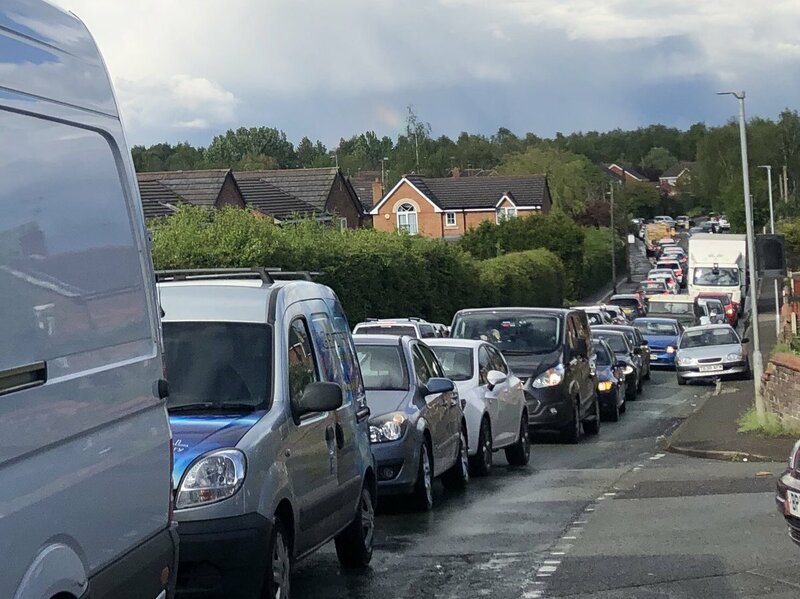 Area head of occupational therapy for Wrexham and Flintshire, Lesley Cotter has been given the terminal diagnosis due to the development of brain tumours – news which inspired her team to begin a drive to raise money in her honour. Lesley has worked for the NHS primarily at Wrexham Maelor Hospital since 1986 and is a well-respected occupational therapy leader in Wales. 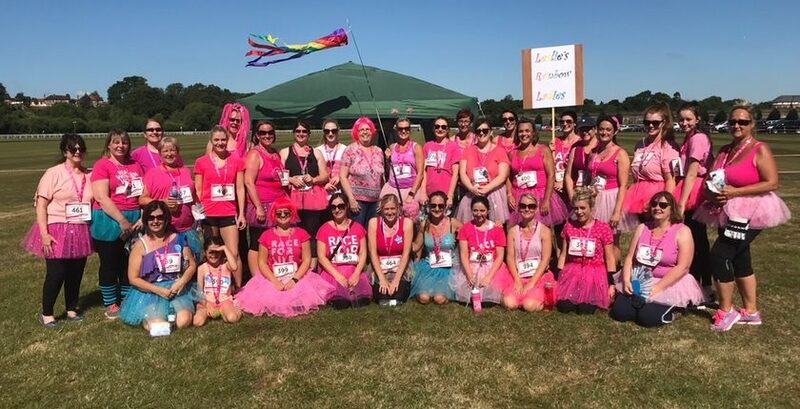 Over the summer, ‘Lesley’s Ladies’ have been putting in the mileage and participating in various events to raise funds for Cancer Research UK. 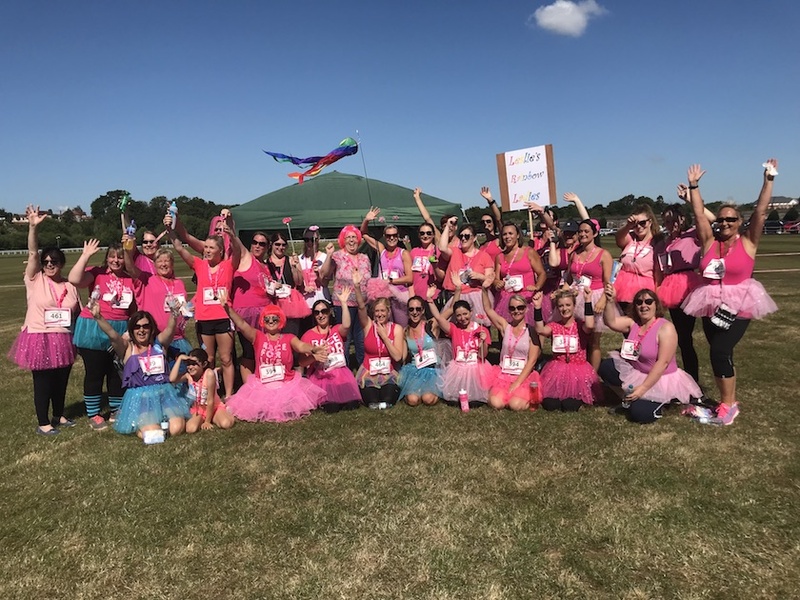 Occupational therapists, physiotherapists and therapy team managers – along with friends and family of the team – have completed a series of events including the 5k Race for Life in Chester, Alyn Waters 5k and Crystal Palace 10k. Staff chose to complete 5 and 10 kilometre distance events to honour occupational therapists commitment to breaking down barriers and enabling people to be independent and achieve success in a way that is personal to that individual. Occupational therapist, Vicky Warburton who led the team at the Chester Racecourse Race for Life said: “It was blisteringly hot on the day but we were so proud because everyone who entered, finished the event. “The whole team got involved wearing wigs and tutus. The camaraderie was fantastic and there was laughter and smiles. “We didn’t want to leave anyone out and so some of our male colleagues also came to support us dressed up as female cheerleaders as they were unable to register for female only race. Colleague Rupert Leslie spoke of his pride at taking part and supporting Lesley’s Ladies. He said: “The very worst of situations often result in a demonstration of the very best in people. Anyone wishing to donate to ‘Lesley’s Ladies’ can do so here.